Turkish President warns of fresh regional crises as a result of the United States withdrawing from the nuclear deal with Iran. 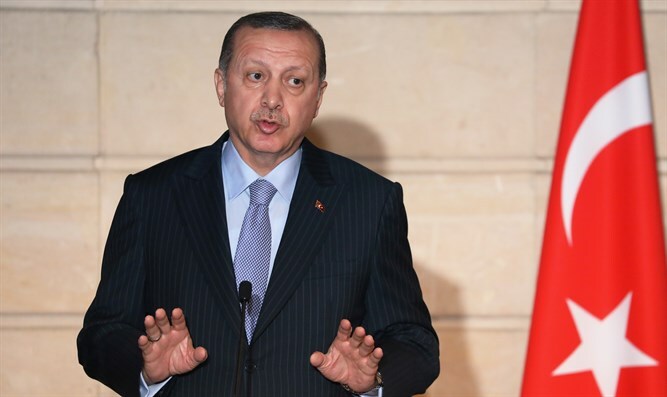 Turkish President Recep Tayyip Erdogan on Wednesday said that the United States will "lose in the end" for withdrawing from the 2015 nuclear deal with Iran, AFP reported. His comments came a day after President Donald Trump pulled the United States out of the agreement and reimposed sanctions on Tehran. Erdogan told CNN International in an interview that he feared fresh crises would break out in the region as a result of the move. "We don't need new crises in the region," he said, warning that it was Washington who risked losing as Tehran would fulfil its side of the bargain and stick to the accord. "The U.S. would be the ones to lose. Iran will never compromise on this agreement, and will abide by this agreement to the end... that's what I think. However, the U.S. will lose in the end," said Erdogan. Erdogan rebuked Trump for ripping up the agreement, which was signed under the administration of his predecessor Barack Obama. While Erdogan spoke out against Trump’s move, Saudi Arabia and its Gulf Arab allies welcomed the decision. “Iran used economic gains from the lifting of sanctions to continue its activities to destabilize the region, particularly by developing ballistic missiles and supporting terrorist groups in the region,” the Saudi foreign ministry said in a statement. Shiite Iran and Sunni Saudi Arabia have a historic rivalry in the Middle East, with Saudi Arabia repeatedly calling on Iran to stop its “meddling” in the affairs of the kingdom's neighbors, and Iran accusing Saudi Arabia of trying to “drag the entire region into confrontation”. Turkey has a relationship with Tehran that has been troubled at times, but the two sides have been working closely, along with Russia, over the last year in a bid to bring peace to Syria.